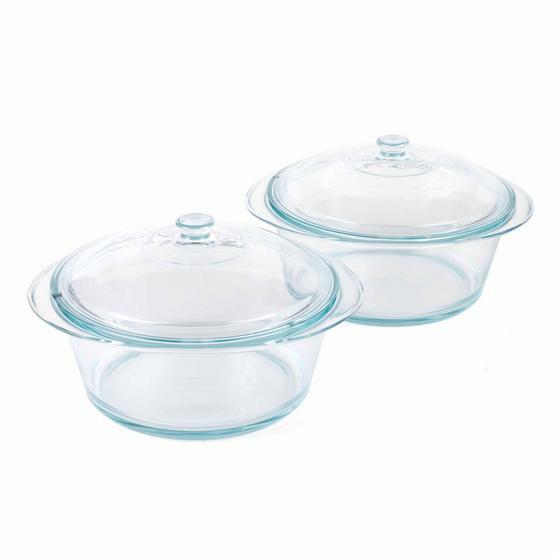 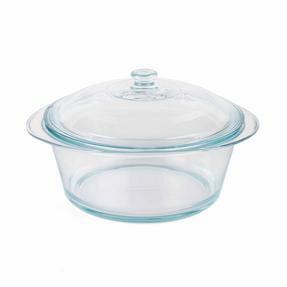 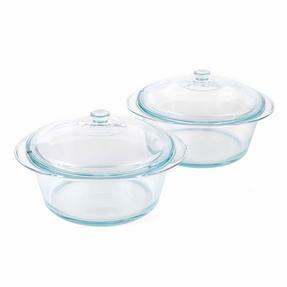 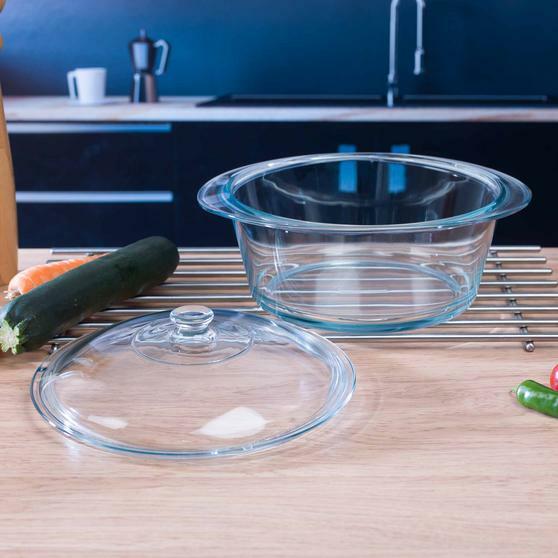 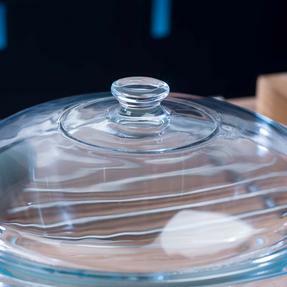 Manufactured from durable borosilicate glass, these 3.5l Pyrex dishes possesses excellent thermal stress resistance and can be used to cook a wide variety of stews and casseroles without fear of cracking. 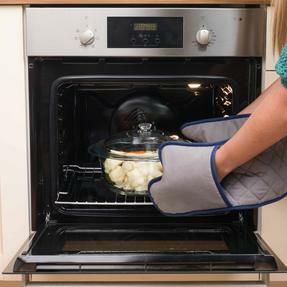 The oven and freezer proof cooking dishes come with a 20-year guarantee and are dishwasher safe. 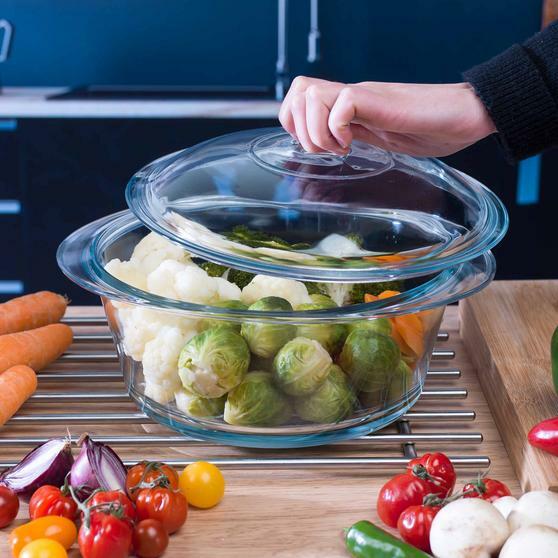 Stain and scratch proof, it is suitable for frequent use and doesn’t retain flavours, ensuring it will provide you and your family with delicious, fresh-tasting results for years to come. 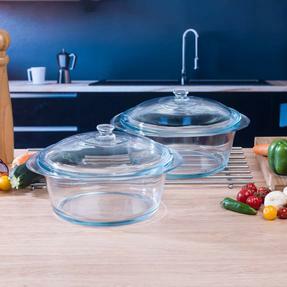 The large Pyrex casserole dishes have a capacity of 3.5 litres, allowing you to whip up hearty home-cooked meals for the entire family. 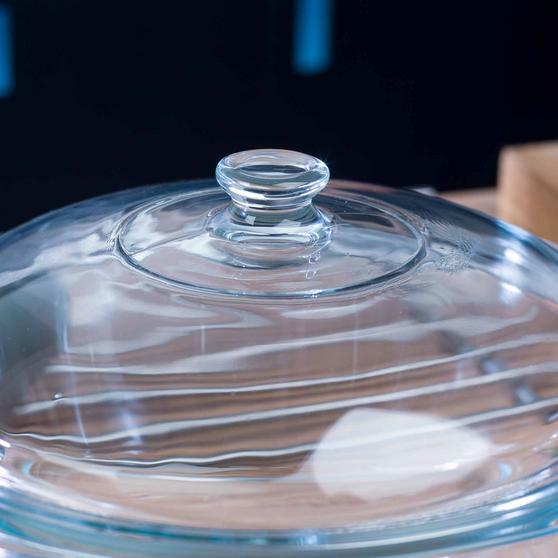 Crafted from hard-wearing borosilicate glass, this stain and scratch proof dish guarantees excellent results for at least 20 years. 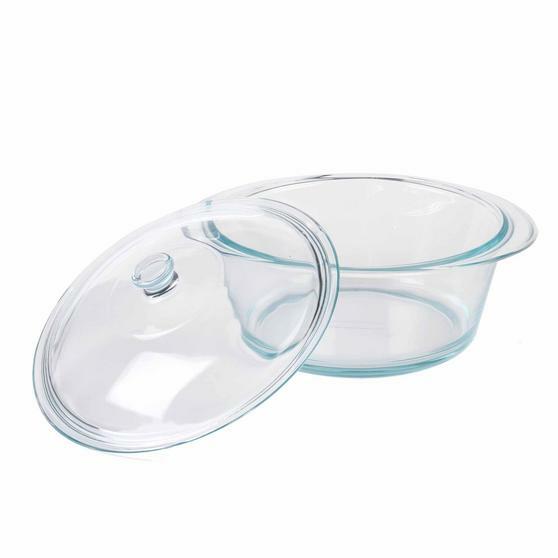 The dish is designed for extremely low flavour retention to ensure all meals taste fresh and vibrant, even after repeated use. Featuring outstanding thermal shock resistance, it can be exposed to high temperatures for extended periods of time without cracking. This robust and versatile piece of cookware is completely oven proof, dishwasher safe and suitable for freezer storage when required.